Polar Silver with Metropol Blue interior, LTT, SSK, wheel spacers, Design Tech CAI, BMC Sports filter, Remap, RS engine mounts. I had a Sachs fitted 30k miles/3 years ago. Still going strong. It's a bit wiffy if you give it some stick, ie. hold it on a hill for a minute. "It's getting IMS & RMS at the same time" - does it not already have them? Hi Alex, yes I do believe it might already have both IMS and RMS !! However it’s now done 97K and I think it’s time to bullet proof it for another 97K. There's no bullet proof after market option unless going down the rebuild route. Unless you're just thinking of popping the outer seal off and checking for play. Fitting another bearing is just resetting your chance of it blowing up. General advice is to consider replacing the flywheel also but it's all in the thread. To answer your question - I chose Sachs clutch and have no complaints. I replaced my clutch and flywheel myself. I used LUK fly and Sachs clutch, on good authority these are the OE suppliers, so same part different box. 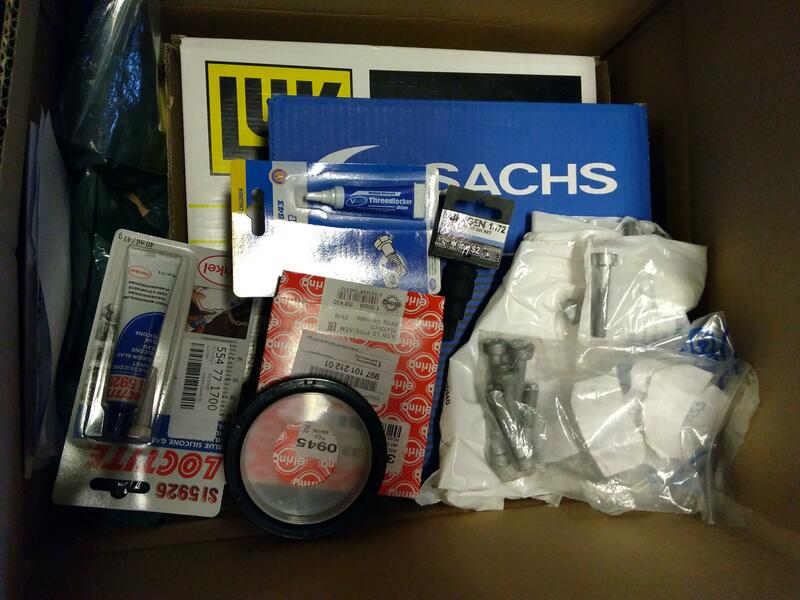 I got clutch fly and a load of other bits under £450 from carparts4less with a black Friday code. They are always doing codes. Check my link in my sig for the other jobs done with the box out. I did the clutch last year and went for LUK items plus a replacement release arm/pin/boot and must say I am very happy with the apparent quality out of the box and feel once fitted. What I would say is that I also fitted a new clutch slave cylinder and bled the system at the same time. The removed slave cylinder, although intact and not leaking in way, felt decidedly stiff and notchy, so might be worth considering changing it as well. Ah yes I did mine too, the plastic end cap had worn away on my slave and was wearing away at the metal arm. A new one (SACHS ~£60) and the arm and pin has been revised by Porsche to a 997 part to eliminate creaking (OPC ~£100) and my clutch is silky smooth.